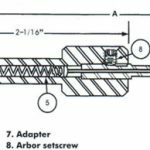 How to use a burnishing tool? Before using the roller burnishing tool, read the following instructions carefully and carefully. If you still do not understand after reading, please contact our online service staff, our technical staff will give you detailed instructions. Install the rolling head on the end seat of the machine tool. The rolling head does not rotate and the workpiece turns. Or the rolling head is installed on the main shaft, the rolling head turns, the workpiece does not turn. The rolling head enters the workpiece one time, the workpiece can be burnished finish. Slight adjustment: hold the aluminum tube of the rolling head and then pull it back and rotate it. The diameter of the rolling head can be adjusted, each small grid is 0.0025mm. The rolling head and the workpiece must be on the same axis, so that the rolling head is rotated clockwise or the workpiece counterclockwise. 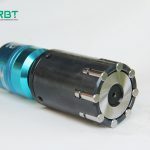 The rolling head or workpiece will continue to rotate, and the rolling head will automatically shrink and exit without damaging the machined surface. The surface hardness of the workpiece is less than HRC40. In order to improve the life of the rolling head tool, there should be sufficient cooling fluid when rolling, and it should be refueled and cleaned in time, and properly kept after use. The workpiece shall have sufficient wall thickness, which shall exceed 15% of the pore diameter. When the wall thickness is insufficient, it should be processed before the wall thickness is reduced or a frame is used to support the periphery. When the blind hole is processed, the rolling head will be unable to be processed at the near hole bottom of about 1mm. Reserve rolling quantity (for reference) to obtain the desired rolling allowance. According to the situation of the workpiece itself (mainly material, hardness, roughness, etc. ), it should be tested for 2-3 pieces before mass production.